A seven night adventure taking in the best of both sides of Costa Rica. You will experience a land full of extremes from active volcanoes to sugary white sand beaches on the Pacific coast and the warm gray sand beaches of the Caribbean. Take a zip line tour above the luxurious jungle of Sarapiqui River as it transitions from from class 5 rapids down to a lazy river. Paddle through the waterways lined by dense vegetation to a native village to see the exotic wildlife. To book you can call us at: 1-800-842-6943, or you can email us at: mytravel@platinumholidays.com. Arrive in Liberia airport where you will be greeted by tour representative. 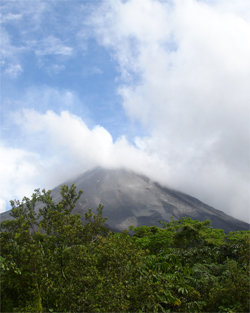 Enjoy the scenery on your 4 hour transfer to your hotel, in the Arenal Volcano area, the country's most active volcano. Overnight in La Fortuna de San Carlos. Morning at leisure to choose optional activities such as horseback riding, rafting, hiking, hanging bridges, sport fishing, caving, bird watching and more. Lunch at your own expense. Visit Arenal Volcano area including a short stay at the Tabacon Hot Springs resort where you will have dinner. Transfer back to hotel. Breakfast and dinner included. Overnight in la Fortuna de San Carlos. 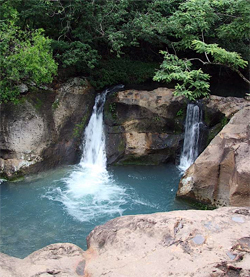 Travel approximately 2.5 hours to Sarapiqui area known for its many biological reserves and the Sarapiqui River rich in a large variety of flora and fauna as well as birds and reptiles. 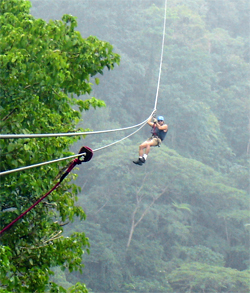 After lunch at your own expense choose one of these activities: canopy tour (12 zip lines), horseback riding, white water rafting (class II/III), or river floating. Choose which activity at the time of booking the package. Breakfast included. Overnight in Sarapiqui. Travel to the village of Guapiles, the heart of the banana growing region and the gateway between the Caribbean coast and the central highlands. Transfer by land and then boat for a 1.5 hour trip through waterways over shadowed by jungle that get you up close to the exotic variety of plants and animals in the area. Arriving at the tiny Caribbean village of Tortuguero, you check-in at your hotel. Breakfast, lunch and dinner included. Overnight in Tortuguero. Take another boat ride to explore some of the smaller canals and see more of the natural habitat. The rest of the day at leisure. Breakfast, lunch, and dinner included. Overnight in Tortuguero. Board the boat back to the dock and take the ground transportation to San Jose, travelling through Broulio Carrillo National Park, containing several dormant volcanoes, stopping for lunch at a local restaurant. Check-in at your hotel in San Jose, the capital and largest city of Costa Rica, about 4:00 pm and enjoy the rest of the day at leisure. Breakfast, and lunch included. Overnight in San Jose. 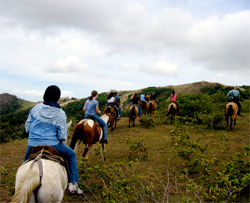 After breakfast, enjoy a 5 hour trip to the Rincon de la Vieja area with it's broad pasturelands, cowboys, ranches and large cattle herds. Visit the Rincon de la Vieja Volcano National Park, home to over 300 bird species and many mammals including cats and monkeys. Here you will explore a tropical dry forest. The rest of the day is at leisure, after checking in at your hotel. Breakfast included. Overnight in Rincon de la Vieja National Park. After a leisurely breakfast check out from the Lodge and transfer to Liberia airport for your flight home. Breakfast included. Ask about details about staying an additional week at a 4 or 5 star resort. 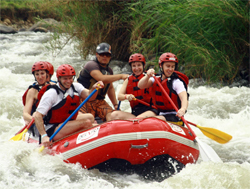 Platinumholidays.com specializes in cheap Costa Rica Tours and affordable Costa Rica Holidays. We offer packages with tours to Sarapiqui River, Arenal Volcano, Tortuguero, La Fortuna de San Carlos, Santa Elena Biological Reserve, Rincon de la Vieja, Guanacaste, San Jose, Liberia, Tamarindo Beach, Quepos, and Monteverde Cloud Forest Reserve. 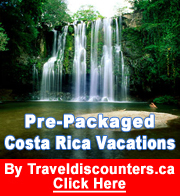 We have great deals to Costa Rica. Any type of tours to Costa Rica we have it. All our tours can be customized to meet your needs and they have connecting flights available from major cities in Canada. Plus our tours have Private Expert Guides and air conditioned vehicles.